The fast lane to exquisite cutting. The Jaguar Lane is a symphony of curves that delivers a superb modern look and incredible high performance cutting. The curved handle shape is accentuated by engraved, flowing lines curving around the tension screw and the look is finished with an unusual tapered finger rest. 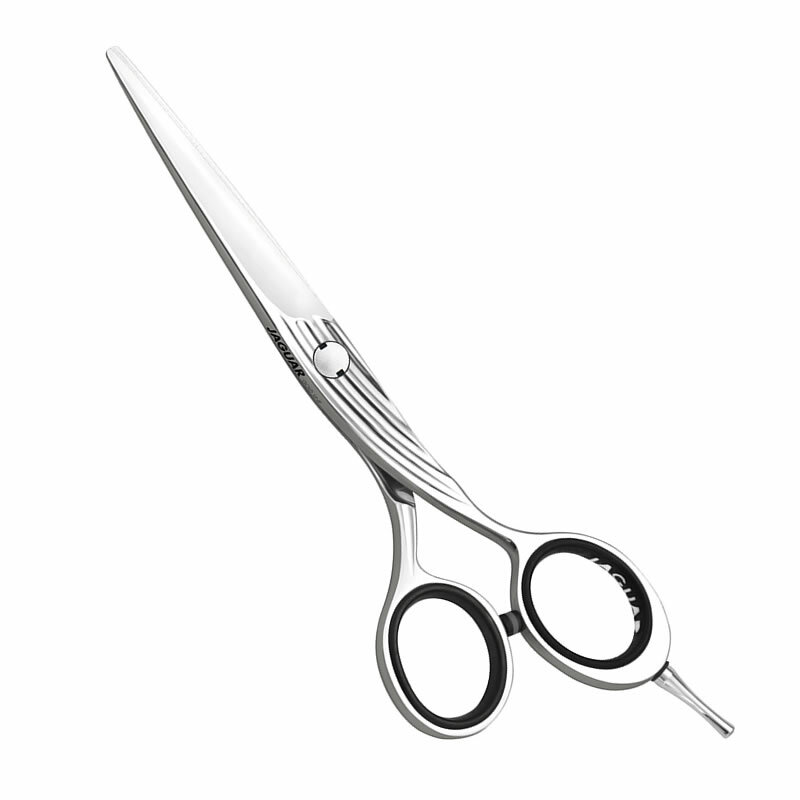 The Lane's blades are convex with fully integrated edges that makes them suitable for slicing and all advanced cutting techniques. They're joined by Jaguar's flat, smart-spin tension screw which uses a click system so that you can fine tune the tension one click at time. The offset handles have improved ergonomics thanks to their angled thumb ring which is designed to ensure your hand adopts a relaxed position and will help to reduce the pressure marks on your thumb and fingers. Part of Jaguar's Gold Line, the Jaguar Lane comes in 5.5 inches only. £280.45 (inc. VAT) Why no VAT? We're a trade wholesaler and quote our prices without VAT to help our VAT-registered customers understand the true cost of a purchase. Complete your look with our comfortable finger-ring inserts in a choice of 6 colours to customise your scissors to suit your style. Available in Black, Pink, Blue, Clear, Green or Red.